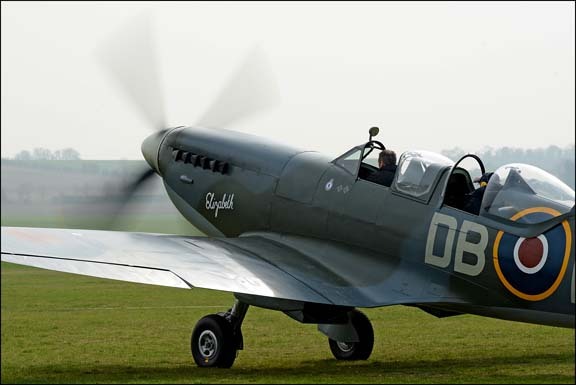 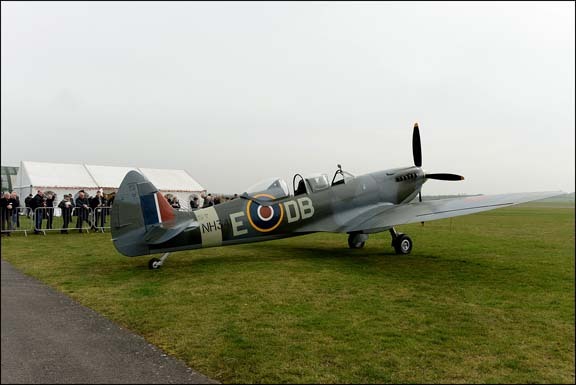 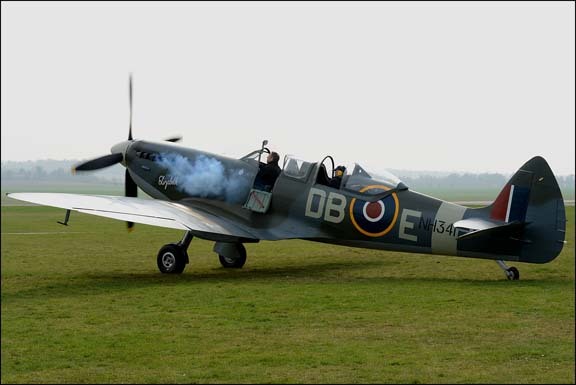 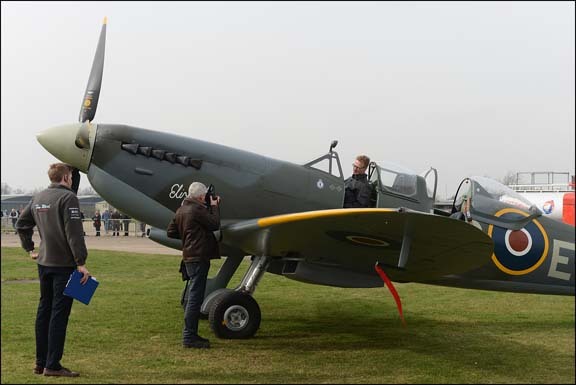 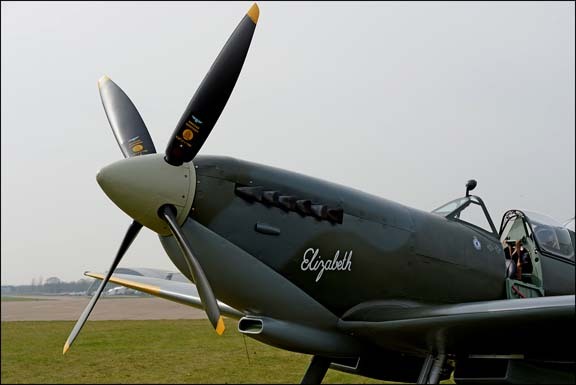 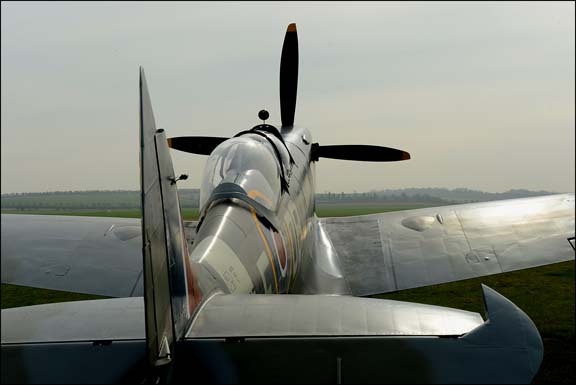 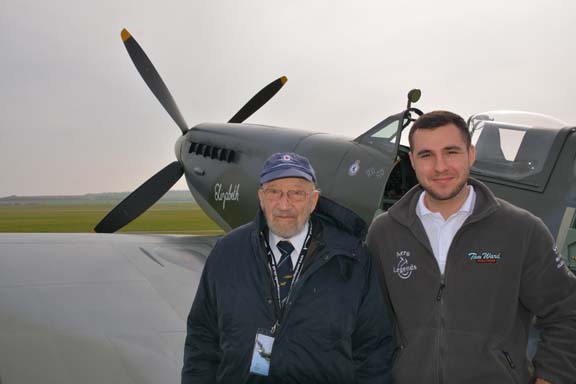 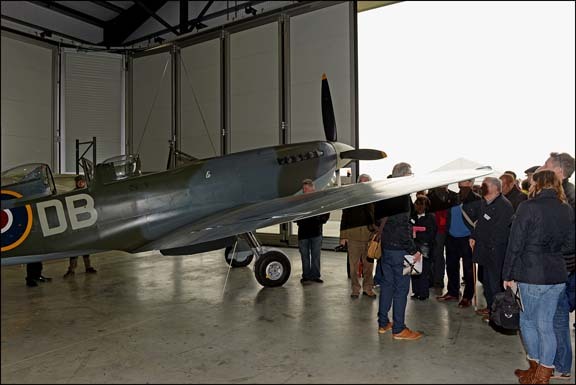 Aero Legends recently restored and converted Spitfire NH341 was enjoyed by a crowd of war veterans and aircraft enthusiasts at the Imperial War Museum's Duxford Aerodrome on Saturday 11th March 2017. 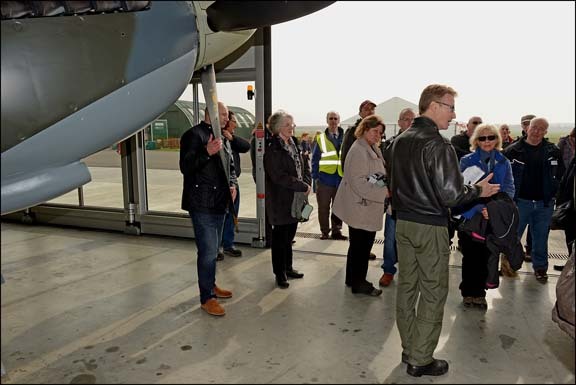 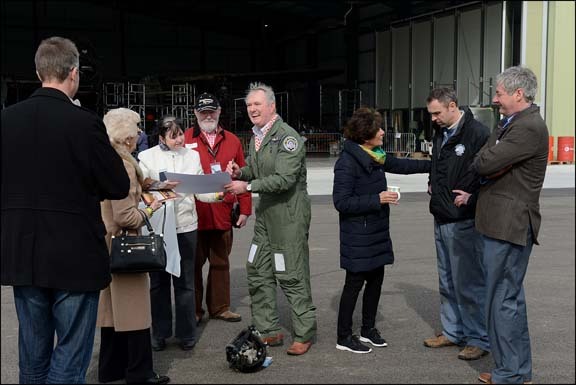 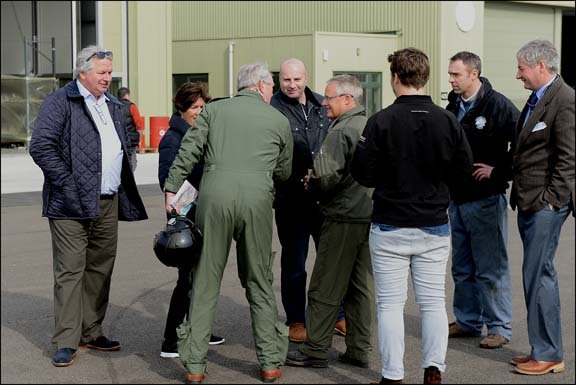 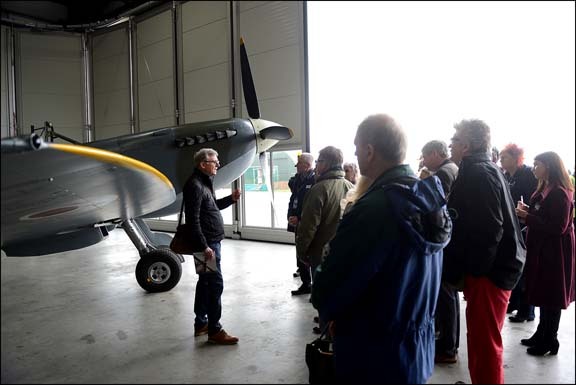 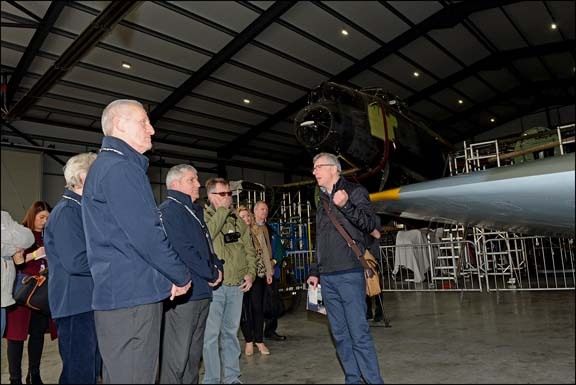 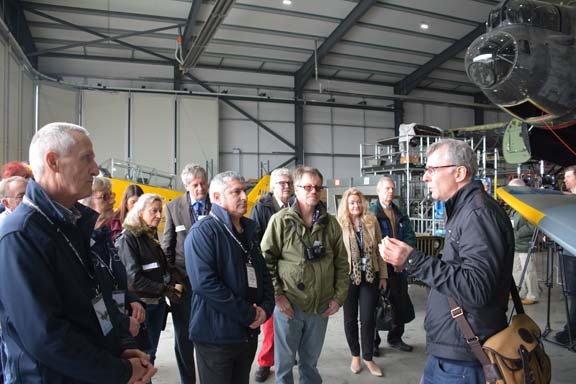 Guests were given a superb hangar tour with guest speakers Donald Nijboer, Flt Lt Antony 'Parky' Parkinson MBE and Nick Oram, providing the fascinating history and flight knowledge on this iconic aircraft. 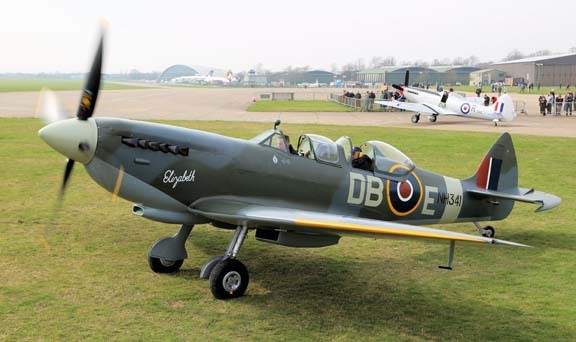 Though the aircraft flew a test flight early in the morning, it encountered a carburettor issue that meant it could not fly for the crowds in the afternoon. 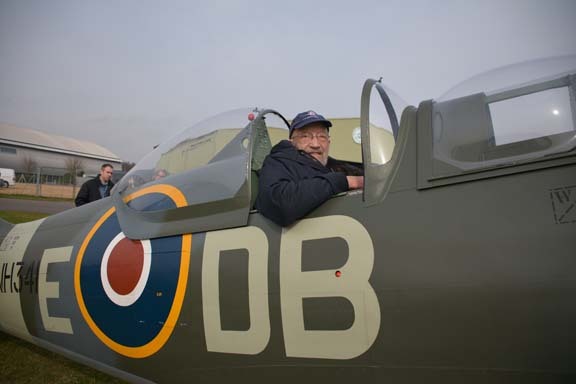 However, Historic Flying Project manager, Martin Overall who was in charge of the restoration, wooed the public with a stirring taxi run. 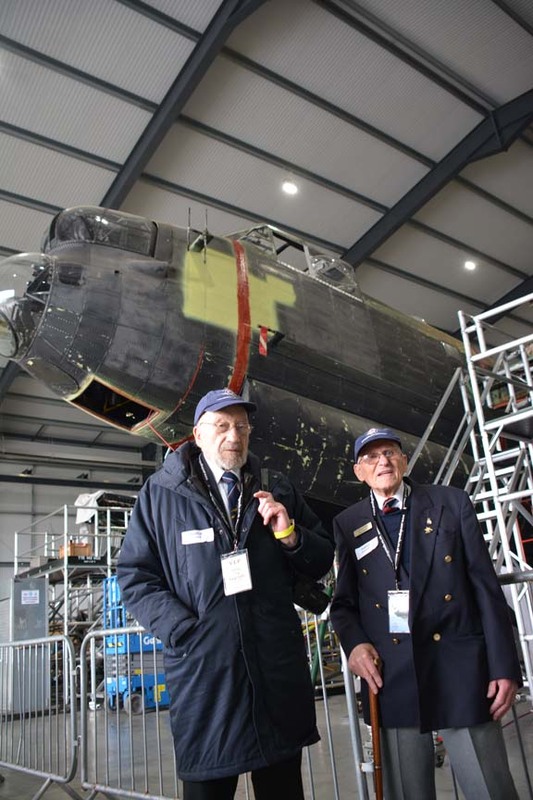 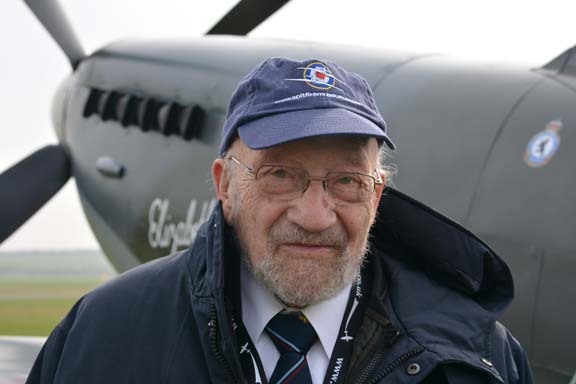 In the rear cockpit was Gerry Abrahams, 94, a former Lancaster pilot who served in the 75 squadron between 1944 and 1945. 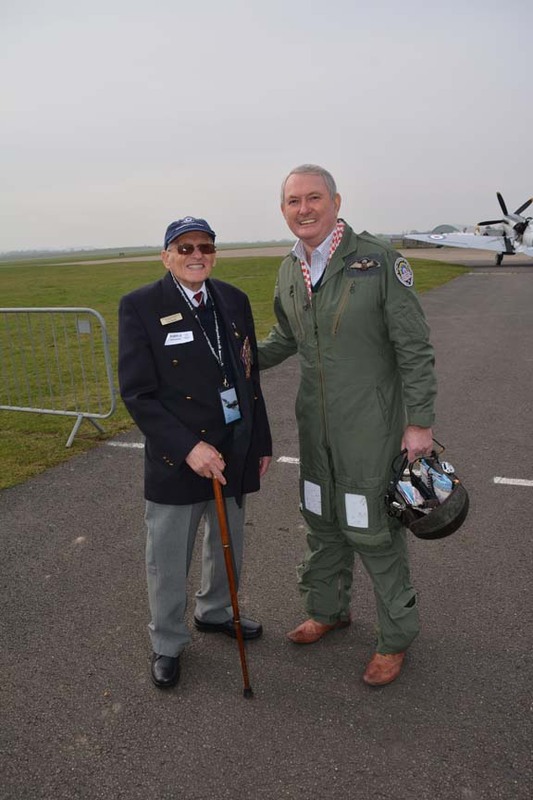 Watching on was Ron Dearman, 93, who flew a DC3 Dakota with the 267 Pegasus squadron during the war. 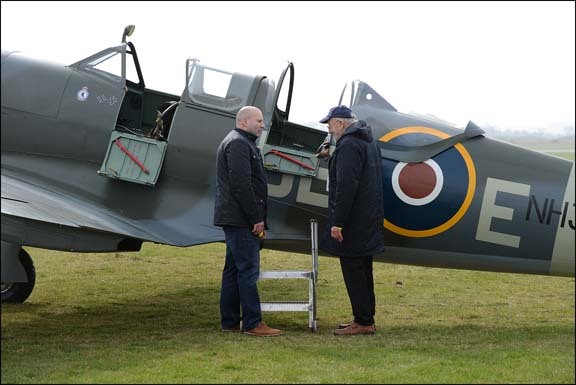 Pilots Air Chief Marshall Cliff Spink and John Romain performed two sorties in a Mk XVIII (Mk 18) Spitfire to round off a perfect day! 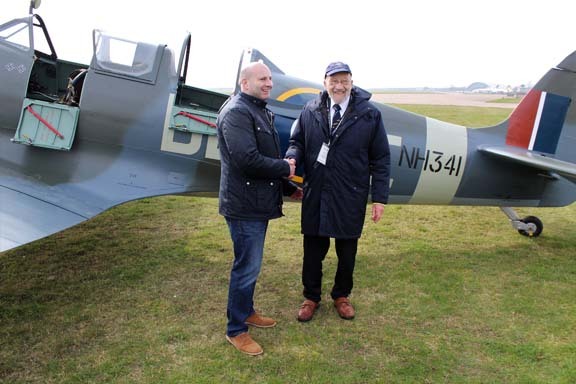 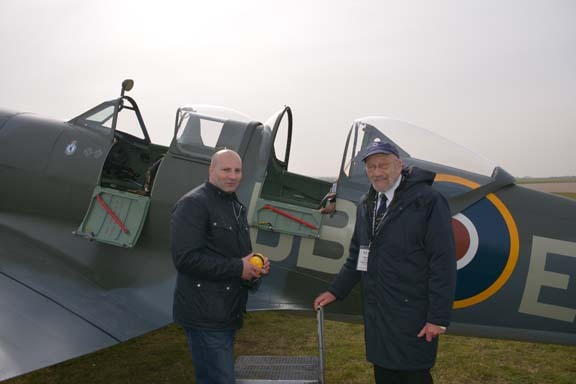 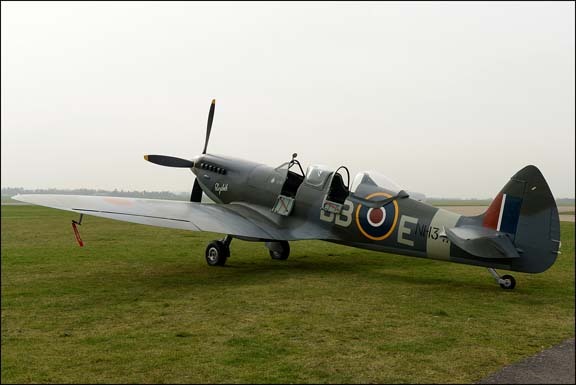 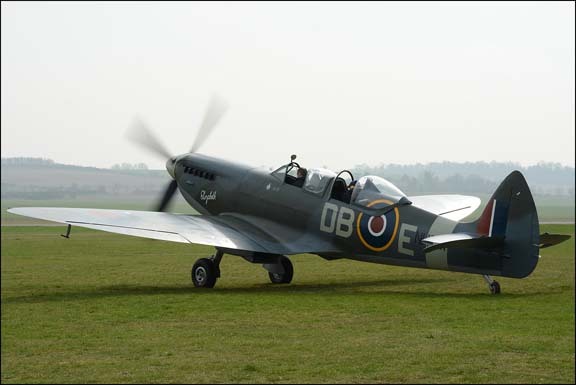 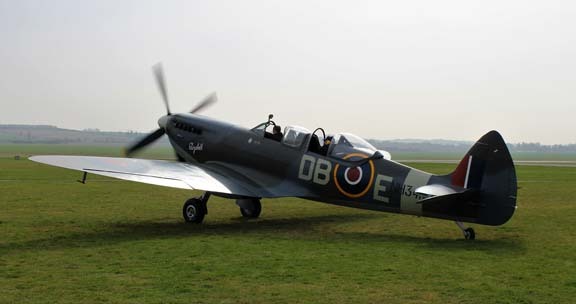 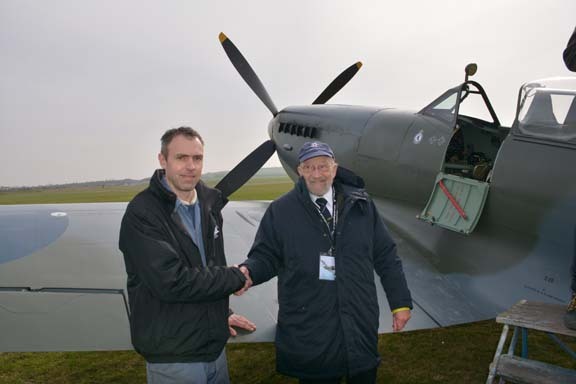 The LFIXE Spitfire has been restored and converted to a T9 trainer model for Fly In A Spitfire events. 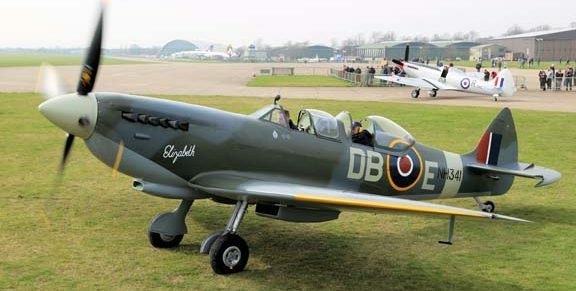 Customers will be able to fly in her at Headcorn in Kent or at Sywell in Northamptonshire from spring this year with Aero Legends and goactionstations.co.uk. 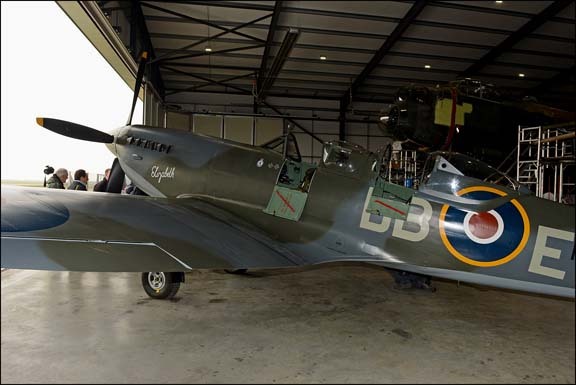 Historic Flying Ltd specialist craftsmen and engineers have spent the last 30 months restoring the fighter to the skies once more.